We are on a journey of scientific and human exploration that leads to Mars. And we're firmly committed to building the launch vehicle and other supporting systems that will take us on that journey. The 70-metric-ton rocket will launch for the first time before November 2018, a remarkable achievement if everything goes as programmed. "Our nation is embarked on an ambitious space exploration program, and we owe it to the American taxpayers to get it right," said Associate Administrator Robert Lightfoot, who oversaw the review process. "After rigorous review, we're committing today to a funding level and readiness date that will keep us on track to sending humans to Mars in the 2030s – and we're going to stand behind that commitment." 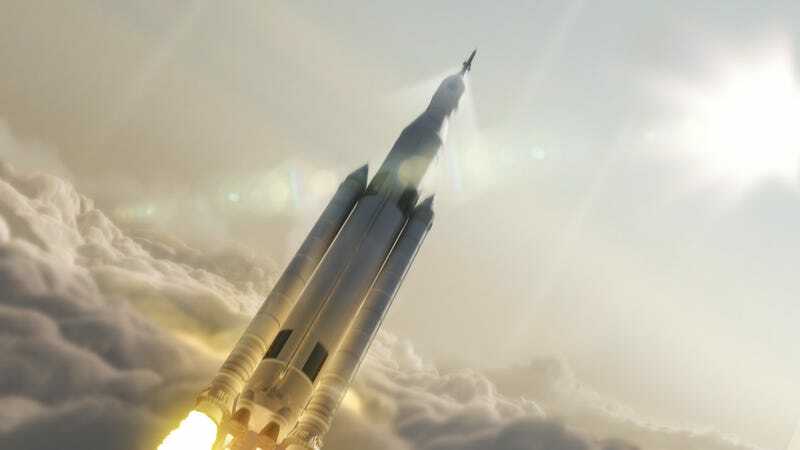 Part of the rocket—the Orion spaceship—will be launched to space on December of this year.